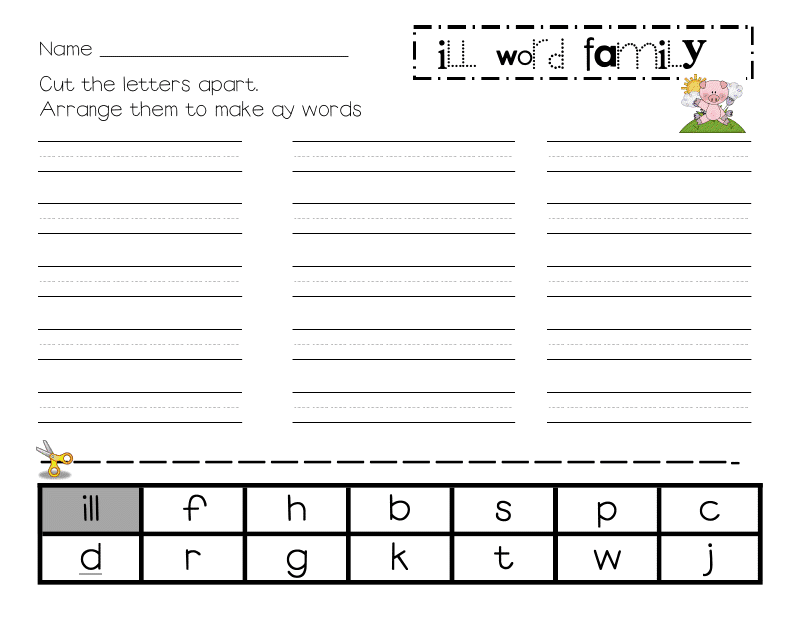 I have been SO happy with these word family activities, but more importantly, this week my kids said, "Yes! I love these!" when I passed them out. This is my fifth week, so 5th word family and the time and work was so worth it. Each day I read a book (from my class library) that has the word family in the title and we read through the words I've hung on my mini board. Monday, we do the page that uses 12 crayons to color in the boxes...we do this together as a class... then they flip it over and use a transparent spinner to partner play the game that I've copied on the back side. 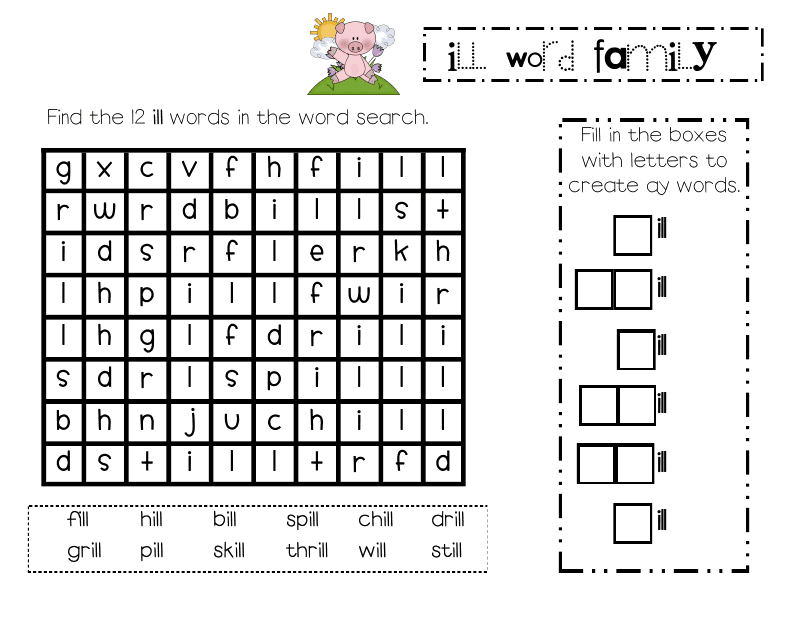 Tuesday, we do the word search (I told the kids to use 12 different crayons on this page too... it makes it more fun ;) . 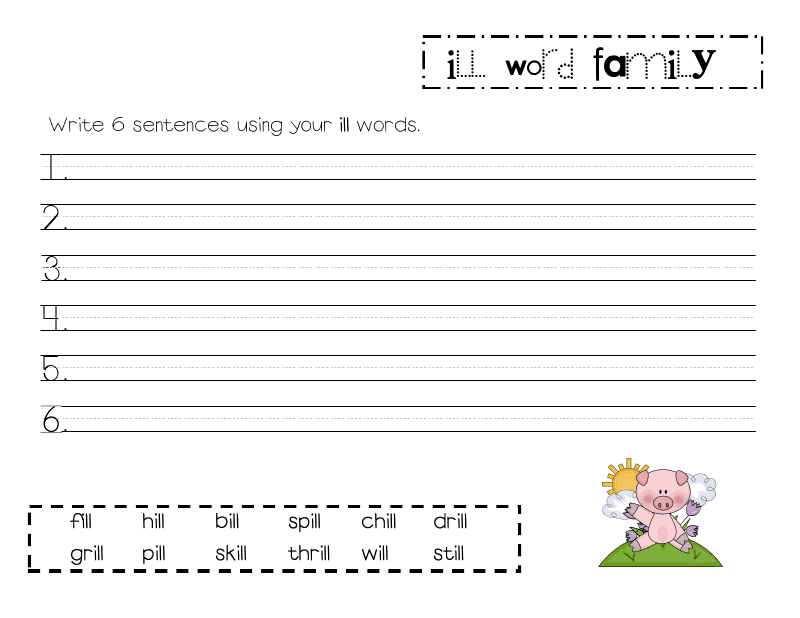 Wednesday, we write the 6 sentences. 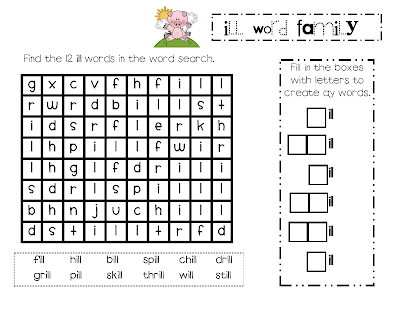 Friday take the word family quiz. I'd love to hear how you have used these pages in your classroom. I have a few sets for free on Tpt... if you don't want to purchase others for $1... make your own... they are working and helping all readers. 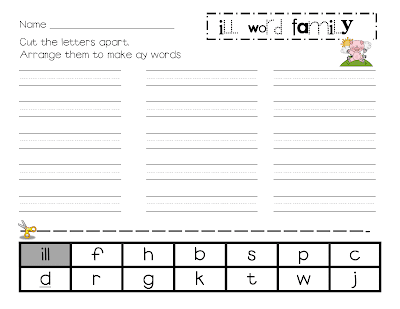 I love your word study ideas! Thank you for sharing! Do you have an email address to contact you? I love your site!! I teach second grade in CA. I was looking at your math flip charts and had some questions. I was hoping you could answer them for me. Thanks a bunch! You make great games! Thanks for sharing. I think there is a mistake on the last page you posted a picture of. 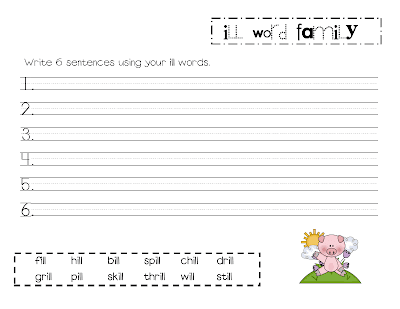 The kids are practicing -ill words but in the directions you wrote "Arrange them to make ay words." I love your blog! You always come up with the cutest ideas. Thank you for sharing! I wanted to let you know I nominated you for a small award. Just found your blog and I love it. 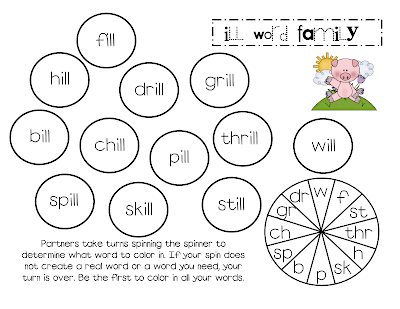 I tried the word family spinner activity with my firsties today. They loved it! Thanks for sharing your creative ideas! oh sweet Jesus, this could not have come at a better time! 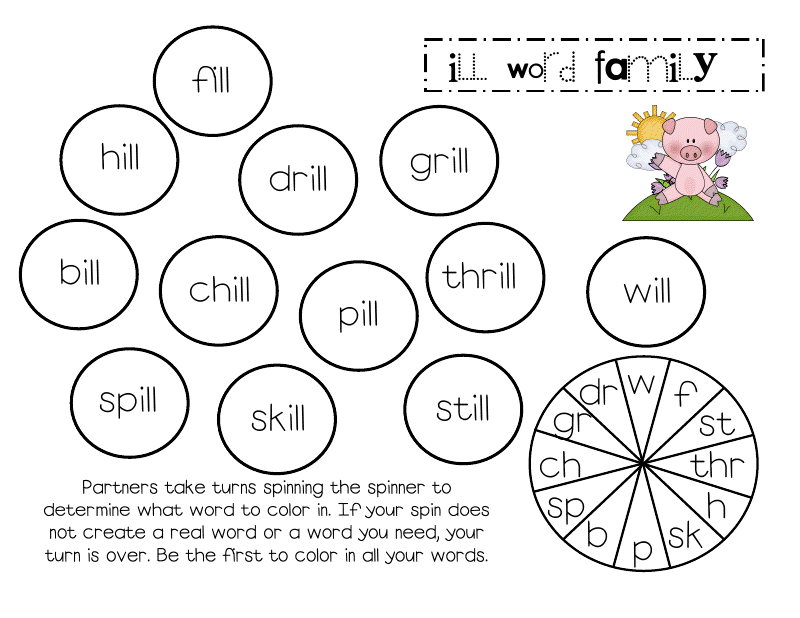 I have been wanting to put together some word work for the kiddos to use on the Smartboard during Daily 5, and these are perfect! Thank you so much; you gave me some great ideas, too!